Music has a way of changing our lives and leaving lasting impressions in our minds forever. The songs not only shape us as individuals but also affect our view of the world and make us who we are today. For me, artists like Richie Havens, Cat Stevens, Jerry Garcia and Bob Dylan remain in my mind as figures that will always have a special place in my heart. They are instrumental figures who no matter how many times I listen to the songs, they never get old. These guys have that power to take me back to a pivotal time in my life when the music got me through and their wisdom helped me grow as an adult. John Craigie is another artist who should be added to that list; someone who is devoted to the song writing process and has the staying power like his predecessors. John’s music is addictive, inspirational, upbeat, moving and passionate. The songs weave through a collection of tales that John has crafted from his experience as a musician and student on the road of life. Already, John is being compared to Greg Brown, James McMurtry, Ramblin’ Jack Elliot and Woody Guthrie among others. John is making an impression on those in the industry and I am lucky to be catching him early on in his career; another one of those guys that you get to say, “I knew him when”. John is aggressively touring in support of his latest album Montana Tale and taking the country by storm hitting every town and city along the way. From San Francisco to New York, Missoula to New Orleans John is going for it. He is serious about delivering his message to as many people as possible and it’s truly admirable for the drive he has to tour all year long. Being on the road full time is not an easy task; but when you have something good, there’s no turning back. John performs mostly as a solo act but has the pleasure of playing with a full band on occasion. The album Montana Tale is beautifully done, well executed and as back-home as warm country pie on a window sill. It’s a feel-good album that deserves a lot of praise and recognition for a folk singer like John who is clearly following his heart. 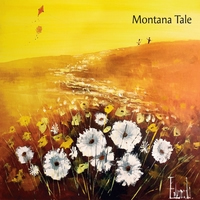 According to John’s website, Montana Tale is a "rollicking collection of folk, bluegrass and barn-rock tunes culled from all those miles of dusty travel. Featuring the indomitable talents of Zach Gill (Jack Johnson, A.L.O.) on keys, Randy Schwartz (Brett Dennen) on drums and Leland Jackness (Dan and Leland) on guitar, Montana Tale crystallizes Craigie's evolving sound into a unique blend of Americana that is equal parts homage and innovation. Packed with songs destined to become classics, the album is a heartfelt love letter to the sights and sounds of the American highway”. For me, the song Mama Nashville is upbeat, driving and fun. It’s got catchy lyrics, sweet guitar lines, perfect harp fills and a sound that begs to be heard. The song 28 is one of those introspective, self reflective ballads that is eloquent, soothing and poetic. Easter Sunday has big sound to it, one that I would love to hear played loud through a PA system, at a festival with a full band. This song could scare away the blues and put anyone in a good mood, especially on a bad day. All throughout the album, Randy Schwartz’ drums are not overpowering and just the right touch to keep the tempo going and the beat in time. Zach Gills’ piano lines are tasty and compliment John’s playing and direction. Leland Jackness has that flat-picking style some guitarists excel to. His phrasing is right on the mark, perfect for the songs and I look forward to seeing him onstage. John and I had the pleasure of doing a few shows together six years ago when we were with full bands in Santa Cruz; but we lost touch over the years going in different directions. It has been great reconnecting with John about our lives as artists and sharing stories of the road. On a Thursday night in Santa Cruz, I went to The Crepe Place to spend a few minutes with John and to see him perform in front of a captivated, sit down audience. It’s hard to not notice John’s momentum as a touring folk singer. I’m sure everyone who saw that show left with a smile on their face and glad that they met one of the great troubadours of the music scene. John, congratulations on an amazing year and your incredible tour schedule. You were at High Sierra this year is that correct? Actually, for the last two years in a row at the Sambazon Stage in the food court; but they don’t take any submissions for it. A lot of my fans were emailing me asking if I could play the festival. So I pretended and said, “they got me on this weird stage called the Sambazon”. I promoted the gig, put it on the site, emailed everyone and planned for our set on Saturday afternoon at 5pm. We set up the PA in the food court and made sure there weren’t any parades that would clash with it. Both years were great and the first one we did, folks would ask “Hey John we didn’t see you in the book”. And I would reply, “you must have a misprinted one, let me write it in” as if! The second year it became apparent what was going on and for my last song of the set to close it out, I sang about putting me officially in the High Sierra Lineup. So we’ll see, I’ll do it again wherever they want me. I also do a lot of the Grizzly Radio station segments and everyone there is really receptive to what I am doing. Your most recent album is Montana Tale, how did you come to the name for it? For me with my albums especially, I tend to not go in and just say these are the songs I have now. I try to craft them to be kind of thematic. The whole term ‘concept album’ has been thrown around way too much and I feel like it’s a little too theatrical for me. But Van Morrison has done something called ‘Song Cycle’ in his album Astral Weeks which I like much more; it means all the songs have a similar vibe. It’s not a story; the album has a mood and a genre of its own. A lot of those songs were written in my travels through Montana when I was based on the west coast. It was the first sort of tour through the northwest that I did and as you know it is very beautiful and vast. That’s when I first felt it was different and when I said to myself, “John you are really on the road, you are a folk singer”. All the songs kind of came together and have that similar vain. There is a song on it called All through Montana which I felt was a pivotal, keystone moment. Looking at your website today it seems like there hasn’t been a city you haven’t hit. Musically, tell us what cities have been fun and really receptive? You are in Santa Cruz tonight and if I remember correctly you were living here in town playing with the band Pond Rock. John, what does Santa Cruz mean to you emotionally? You’re back! Yes, this is where it all started. I had been writing songs since I was sixteen. I went to college here at eighteen and did the open mic’s. They were great, people were really honest and critical, but in a good way. I felt inspired here; there are so many great artists around. I grew up in Los Angeles, it’s really different there. In 2003, I released my first solo album and all the songs were written here. I went over to West Cliff today, played some guitar and came to the conclusion that my first forty songs and first two albums were all done here. It’s my roots in Santa Cruz and a place I learned everything about crafting a song. Although, I learned a lot when I hit the road as well but everything from my heart comes from this town. Just to get a framework, would you say you were a singer-songwriter first. Or were you slugging it out in high school with bands. Was it cause and effect, which came first? Well, first I would like differentiate if you don’t mind between the term singer- songwriter and folk singer. They are terms that get sometimes thrown back and forth. I feel there is a slight difference; James Taylor is a singer-songwriter and Pete Seeger is a folk singer. They are both beautiful, they are both amazing and they are both necessary. The difference being the singer songwriter takes a personal experience, keeps it personal and writes a personal song that we can then reflect on as an outside listener. You will be able to say, “Yeah I have been in a situation like that”. A folk singer says, “you and me, you audience, me performer; we are pushing that away tonight, we are all in this together and these songs are as much about you as they are about me”. I definitely started out as a singer songwriter, we all do. I was in bands because we all like to rock out. Pond Rock was a great experience for me to do house parties and small clubs; but I was pushing my talents. I did not have the experience for that, what I really needed to do was be onstage myself singing the songs. Being a folk singer kind of crept up slowly by being on the road and experiencing audiences on that level. At a house party, everyone is doing their own thing. The jam is a great medium but I felt that I couldn’t reach the audiences through that. My mind was on the lyrics and telling stories; people at those gigs didn’t want that. I found coffee shops and living rooms were more conducive to my style. I watched how people reacted to what I was doing. I guess you might say that I did start out as a singer songwriter, then pretended the band thing, loved it and then came back to the folk singer in me. What about a catalyst or pivotal moment when you realized either you wanted to be a folk singer or you wanted to go out on your own. Can you trace it back? Yeah, I always wanted to be a musician ever since I was a little kid. I was living in Santa Cruz after college working and my aunt who lives in Boulder said, “John come out here this summer, plan some shows along the way”. It was my first solo tour and after two nights into it I had done a show at a coffee shop and then drove around looking for a place to sleep. I found a KOA that didn’t have any grass and had all rocks. I had a ford Taurus back then, so I am lying in my sleeping bag on rocks and happy at the way the show went. I was so happy that I could sleep on these rocks, freezing with a smile on my face. I said, “this is it, what else can I possibly do”. What about this stage of your life, are you content or is anything missing? Yeah, a lot of musicians always ask that, what’s my next step? For me my plan is go out there, make new fans and please the old ones. When I was younger I used to dream in my bed about playing only to a few people. So I am very pleased at where I have come. There is always the ability to aim a little higher and always blessed to have reached this height. Wherever the fans are, if they are happy then I am happy. What is best for everyone is best for me. That’s all I try to do every day, just try to stay alive, keep doing what I am doing and from there it will grow. The song Gone resonated well, what’s that all about? That is my mantra, put it on my headstone. The song is one of the oldest on the album and I wrote it at the beginning of touring. It was all about the solo journey, the confidence you get when you are doing it all on your own. Every decision you make hinges on how you can handle this. There are a few lines in there that would stand out if it was a rough night. There is a line about this preacher who says,” if you won’t die playing a guitar you might not die at all because you play more often than you breathe.” I wanted the song to be for everyone but in the end it reminded me that this was what I was meant to do. I usually close out every show with that song to make them understand that I am happy with my life and the path that I have chosen. Not to quote myself, but the song gives me happiness. It talks about going down like the sun, but always being there. Just because the sun goes down, it is always where it is. It doesn’t go anywhere; it’s us who turn our backs on it. So, to leave a town, you are always there and it’s the main goal of a folk singer. Any process for getting ready for a show, what do you do to prepare? Any pre-performance butterflies or does it come easy? To me it’s all about crafting the set list. I usually have an idea, new songs to put in and knowing what favorite songs the fans like in each town. But as things get closer you can feel the room out and feel the crowd out. It has been a pleasure doing this and my favorite part of the process. There is an art to it, even up to the last minute I am crossing things out and changing it up. To me that is the meditation, how I can do it best for this audience and figuring out the stories. I have a huge database of notebooks that list all the stories I told last time so I don’t repeat myself. It’s very important for me to keep it fresh; it’s all there dated and organized. Certain songs you can play over and over again but the stories are different. The song Resurrection Bay has that sound I look for in an album. I love it! Where is that located? Is it the San Francisco Bay area or somewhere else? It’s in Seward Alaska, I have done two tours there. Stewart is a fascinating place, amazing and very haunted. The town rests on a body of water called Resurrection Bay and I was camping in my Astro Van each night I played. Every story that I heard in the bars and various ghost stories were swirling around in my mind and that song came out of the time there. You mentioned playing Burning Man, I know you are no rookie to that phenomenon. Burning man means a lot to each person, what does it mean spiritually to you? It is a crazy gathering of people but for me it’s just another gig on the road. It’s another town to visit and another place where there are people. What is important though, it is a shifting village and it’s my fifth year. I have watched it change from a techno rave party scene to an actually functioning city that wants everything. As a folk singer it’s been wonderful to watch and there aren’t many folk singers who go there: it’s in the desert, its hot, it’s dusty, you don’t get paid and it’s all volunteer. But I have found Burning Man needs more of that music and one of my favorite stops on the road. My goal is to bring it to that many people as possible; it’s very diverse there and great. Spiritually, it means the same to me as any other city except it’s hungrier for that. The live interactive music is lacking there. But Burning Man is building, this past year was a huge turning point and next year will be very special. When you are on the road, do you get to see any music along the way? To be honest, I don’t really give myself off nights. So, I try to book other musicians that I appreciate with my act like some of the local, up and coming musicians. This last tour on the east coast I did four nights with these two women, Liana Gabel and Olivia Quillio, jazz folk artists that I really appreciate. Every now and then I get an off night like at High Sierra where I get a chance to see some of my heroes. A guy named Dan Bern I love and has been a huge influence. Also, Todd Snider is another one I got to see. I also got to see Bon Iver when I was in New York. But the most inspiration for guys like me, really what turns me on is to see Dylan or John Prine which will keep me going. Besides the obvious like performing to a big audience and touring, what gets you past the sacrifice? What keeps you doing what you are doing day in and day out? I always think back to when I was younger in school and a D.A.R.E. Officer came in and broke it down strangely: “Some people are born thumbs, some are born index fingers. They are leaders, but some are middle fingers and ring fingers”. I think he was trying to say you should be one of these. And then he said, “some are born pinkies and have no purpose here and no discernable talent”. I remember getting real sad and thinking I was born a pinkie because as a kid I wasn’t good at school and sports. I hadn’t discovered music yet, but then I got into math and started studying. Ultimately, my realization was that if I was born with no discernable talent or set path, then I had an infinite number of paths to choose from. And that is what liberated me. With time, I found out what worked for me and music was it. What’s planned for 2011, are you thinking that far ahead? Yes, definitely. I am heading down through the southwest and into Louisiana. I’ll continue touring and recording another album. What do you want to tell your fans John? What is the most important thing they should know? It’s all about them now, the record business is changing and now artists need to concentrate on the fans. They make it happen for us. Well, you certainly are gaining a lot of fans and support from the industry. 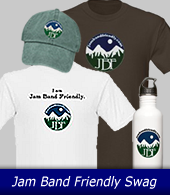 Jambandfriendly.com supports you and wishes you a lot of luck in the coming year. It was great to see you again after all this time. The California Honeydrops: Keeping It Creative & Crazy! "The Revivalists" From New Orleans Might Be The Next Big Thing! "The Feels" From Mystic Connecticut Have Their New EP "Fields"
The Band "Corduroy Jim" Has A New Album Called "Cinco"
The Nibblers from Sacramento Are On The Rise! Dead Winter Carpenters: Music, Family, Community & Bliss. Scott Cooper's New Album "A Leg Trick" Is Ready! The Band "Willes Light" Gets Ready to Release Their New EP "Whole New Reality"
The Band "Bacon" Is Sizzling! Wayne Healy With "The Freddy Jones Band" Looks Back On An Amazing Career, A Great Band And Wonderful Life. The Band "Poor Man's Whiskey" To Perform at The Fillmore Auditorium on 11-11-11. Don't Miss This One! Reviewing Chris Zanardi's New Album "Transmissions"
Eli Jebidiah's Leap of Faith from "Poor Man's Whiskey" to "Huckle"
'Strange Arrangement' from Chicago, My New Favorite Band! 'Greensky Bluegrass' is Reaching Perfection! The Congress from Denver Colorado is Young, Talented & Ready For The Big Time! Vince Herman "Still Going Strong"
Catching up with The Band "Willies Light"
Zach Deputy: "Exploding on the Scene!" See Photos from this event!